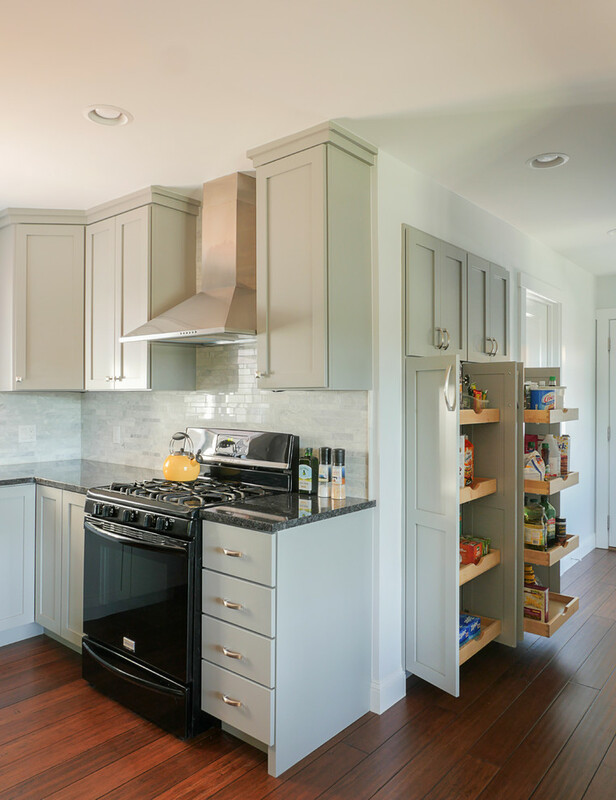 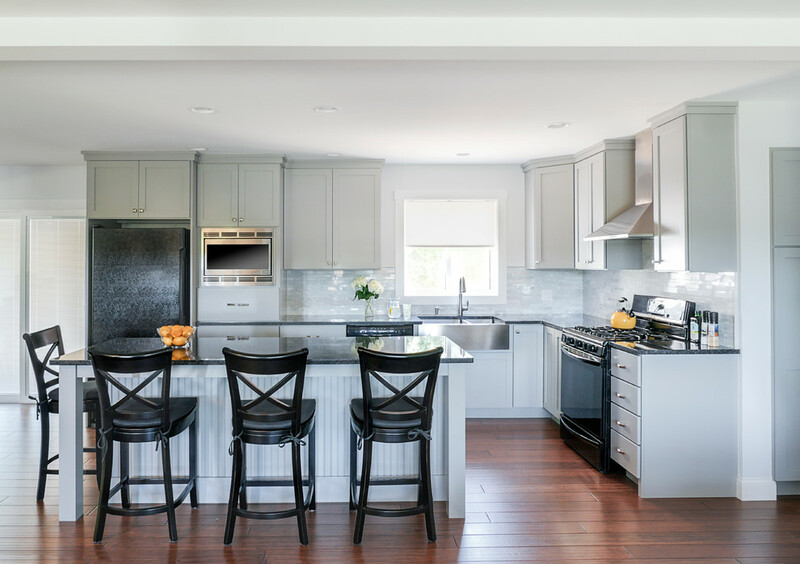 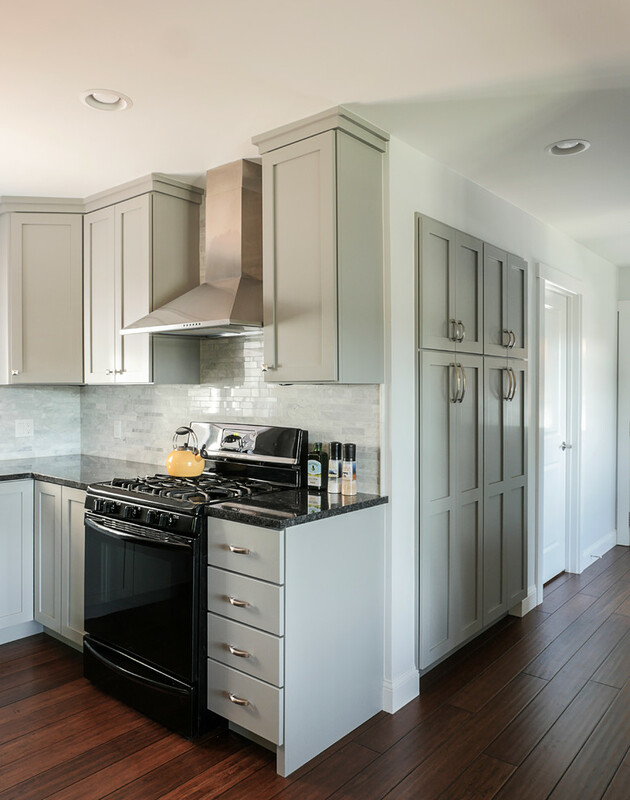 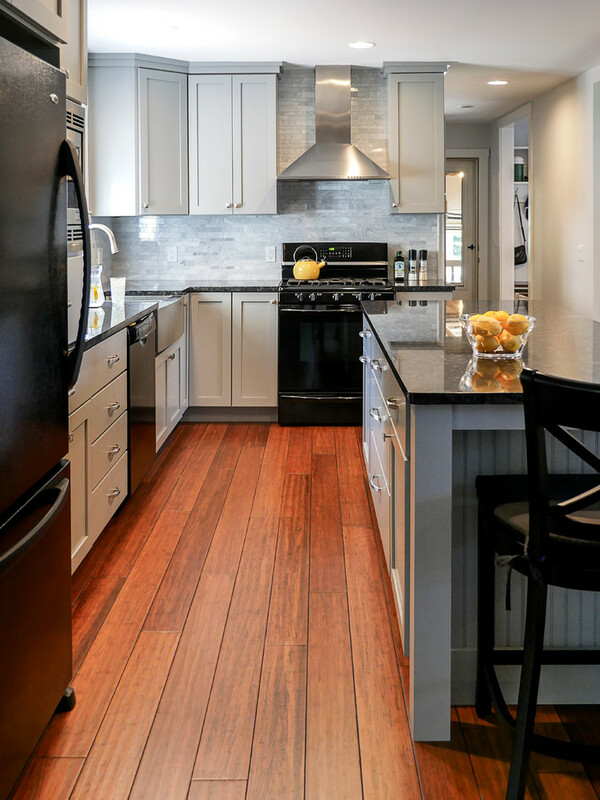 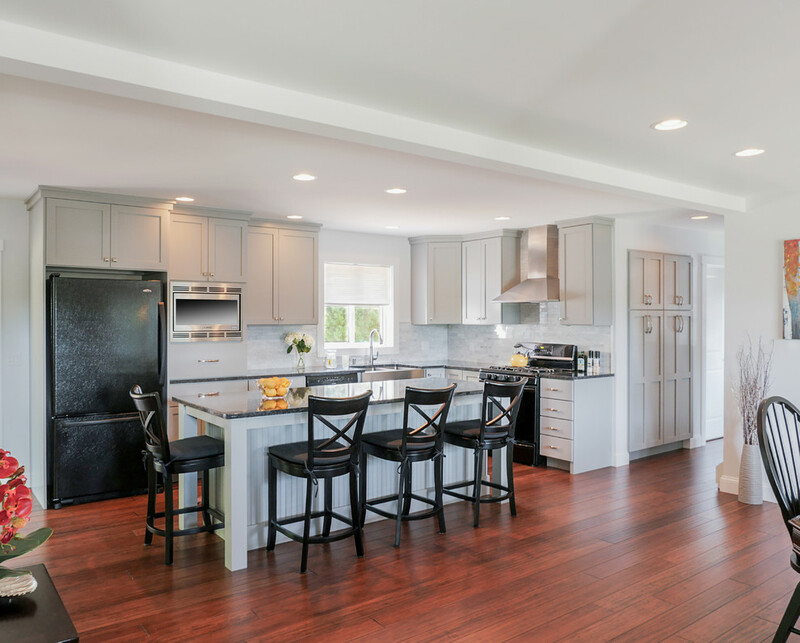 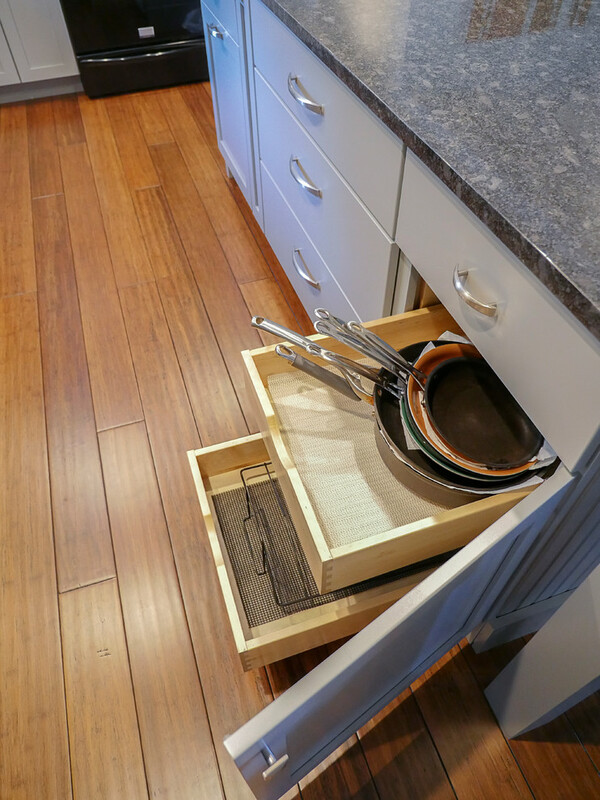 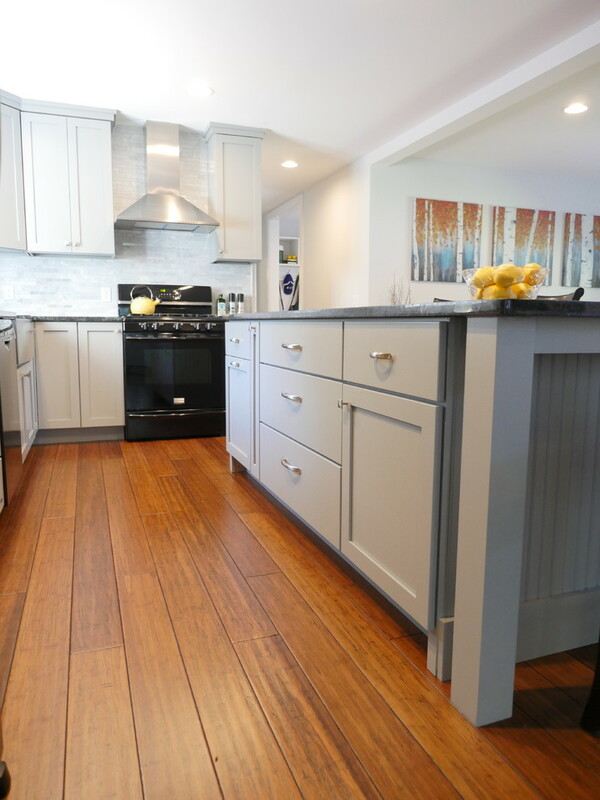 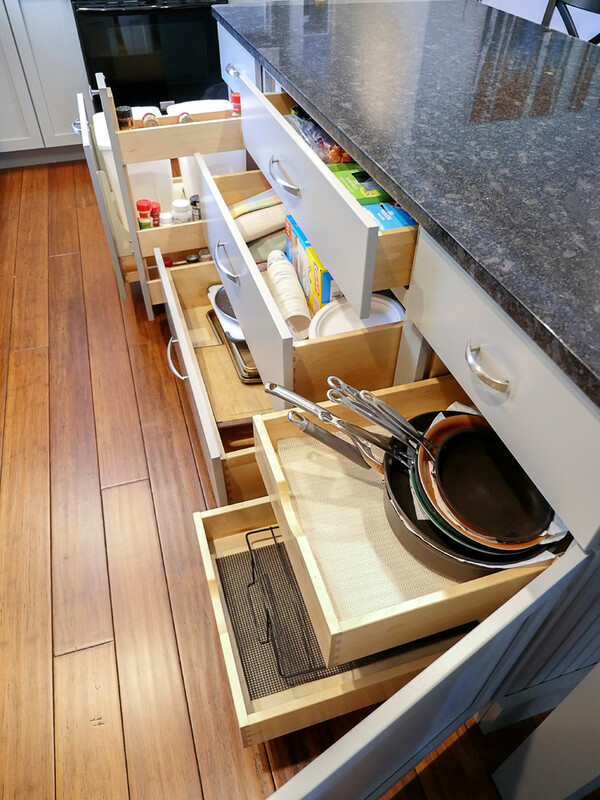 This kitchen remodel received a total transformation. 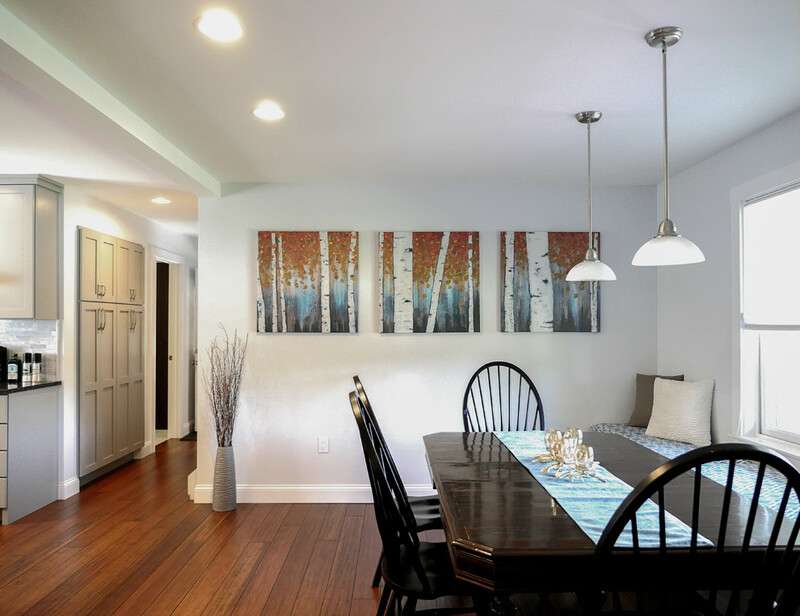 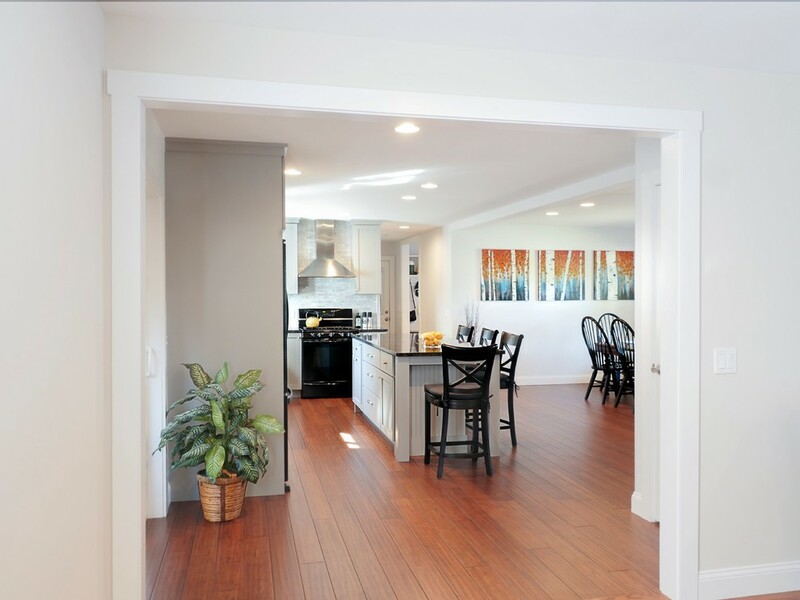 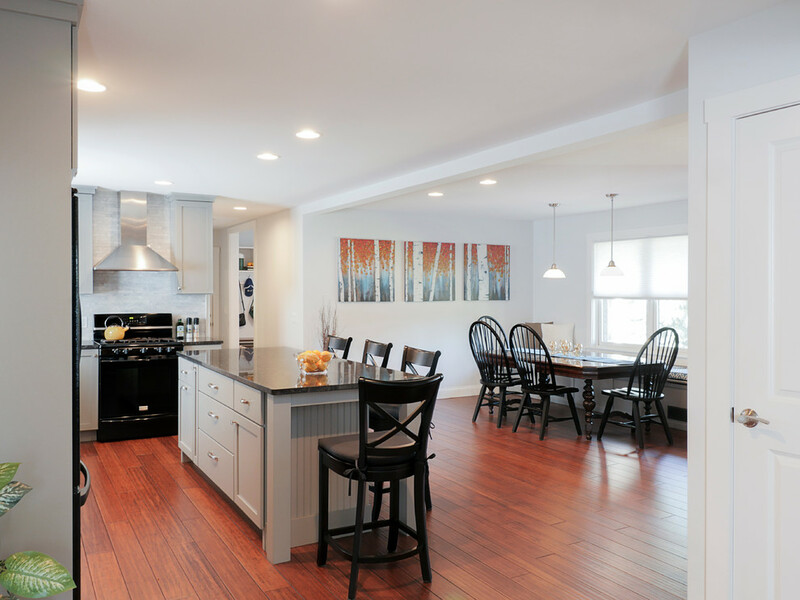 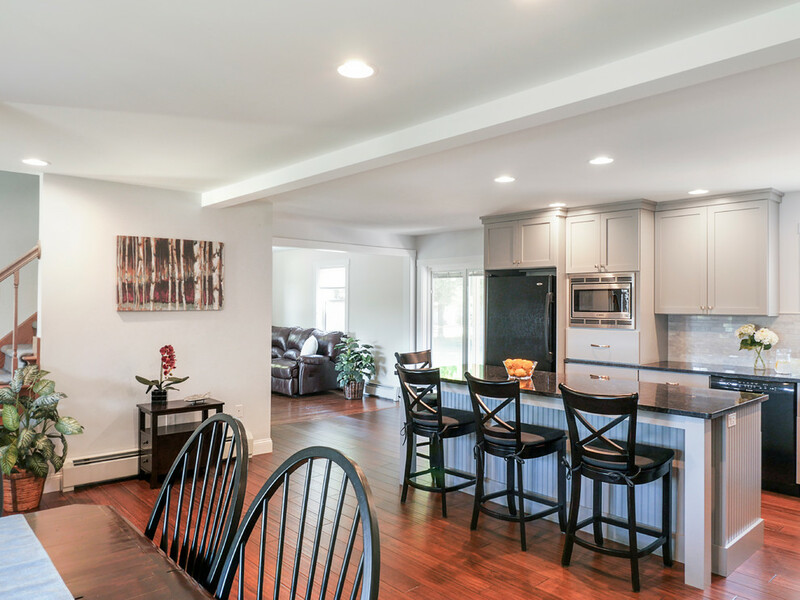 We suggested removing formal dining room and hallway walls to completely change the flow and feel of the kitchen. 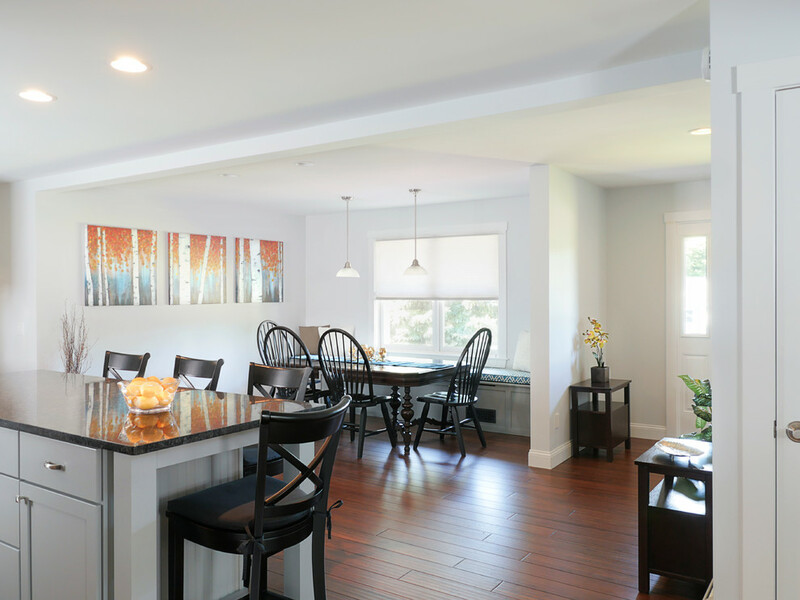 The space is now an open kitchen and dining room with cool tones of gray.